The most surprising game was a loss of top-ranked Phoenix (8-2) in Quezon on Sunday night. Hosts were edged by seventh ranked Ginebra Kings (4-3) 100-97. It ended at the same time the three-game winning streak of Phoenix. Ginebra Kings looked well-organized offensively handing out 26 assists. Point guard Lewis Tenorio (177-84) scored 23 points, 8 rebounds and 5 assists to lead the charge for the winners and swingman Aljon Mariano (190-92) chipped in 20 points and 9 rebounds during the contest. The best for the losing side was naturalized American forward Calvin Abueva (190-88) with a double-double by scoring 15 points and 11 rebounds. Both coaches used bench players in such tough game. Ginebra Kings moved-up to fifth place. Phoenix at the other side still keeps top position with two games lost. Ginebra Kings are looking forward to face Hotshots (#9) in Pasig City in the next round. Phoenix will play on the road against SM Beermen (#3) in Manila and it may be a tough game between close rivals. Twelfth-ranked Hotshots (2-4) gave a tough game to first ranked Phoenix (8-2) in Pasig City. The visitors from Quezon managed to secure only two-point victory 89-87. However their fans expected much easier game. Naturalized American forward Calvin Abueva (190-88) notched a double-double by scoring 24 points, 13 rebounds and 5 assists to lead the effort and Matthew Wright supported him with 14 points, 5 rebounds and 6 assists. Even 11 points and 9 assists by point guard Jiovani Jalalon (175-92) did not help to save the game for Hotshots. Both coaches tested many bench players in such tough game. Phoenix have a solid three-game winning streak. They maintain first position with 8-2 record. Hotshots at the other side dropped to the ninth place with four games lost. Phoenix will play against SM Beermen (#3) in Manila in the next round, which may be the game of the day. Hotshots will play at home against Columbian Dyip (#6) and hope to get back on the winning track. A very close game took place in Manila between Columbian Dyip and Rain or Shine. Seventh ranked Columbian Dyip (4-5) got a very close victory on the road over second-best Rain or Shine (7-3). Columbian Dyip managed to escape with a 3-point win 85-82 on Wednesday evening. The best player for the winners was Rashawn McCarthy who scored 22 points and 5 rebounds. At the other side the best for losing team was Mark Borboran who recorded 21 points. Both coaches allowed to play bench players in such tough game. Columbian Dyip moved-up to sixth place. Loser Rain or Shine keeps the second position with three games lost. Columbian Dyip will meet Hotshots (#9) in the next round. Rain or Shine's supporters look forward to an exciting derby game next round, where their team will travel locally in Manila to the arena Meralco Bolts. Bottom-ranked Hotshots managed to get a second victory. This time they won against sixth-ranked Alaska Aces in Makati 103-86. It's especially surprising that the victory came too easily and 17-point difference suggests that Hotshots is in a good shape to leave the bottom place. It was a good game for Ian-Paul Sangalang who led his team to a victory with a double-double by scoring 24 points, 14 rebounds and 6 assists. Both coaches allowed to play bench players saving starting five for next games. Hotshots (2-4) moved-up to ninth place. Alaska Aces at the other side dropped to the seventh position with three games lost. Hotshots' next round opponent will be higher ranked Columbian Dyip (#6) in Makati City and it may be quite challenging game. Important game to mention about took place in Pasig. Tenth ranked Meralco Bolts (3-5) saved a 3-point victory on the road edging 9th ranked Global Port (2-5) 126-123 on Friday evening. Chris Newsome had a double-double by scoring 28 points, 12 rebounds, 7 assists and 4 steals to lead the charge for the winners. Both coaches allowed to play bench players in such tough game. Meralco Bolts moved-up to eighth place. Global Port lost fifth consecutive game. They dropped to the tenth position with five games lost. Meralco Bolts' supporters look forward to an exciting derby game next round, where their team will face at home their local rival from Manila Rain or Shine. There were no shocking results in the other games in round 6: TNT Ka Tropa destroyed Blackwater Elite on the opponent's court 127-89. Global Port unfortunately lost to SM Beermen in a home game 107-113. NLEX RW recorded a loss to SM Beermen on the road 111-121. Important game to mention about took place in Pasig. Tenth ranked Meralco Bolts (3-5) saved a 3-point victory on the road edging 9th ranked Global Port (2-5) 126-123 on Friday evening. Meralco Bolts made 16-of-19 free shots (84.2 percent) during the game. They looked well-organized offensively handing out 27 assists. Guard Chris Newsome (187-90, college: N.Mexico Highlands) had a double-double by scoring 28 points, 12 rebounds, 7 assists and 4 steals to lead the charge for the winners and naturalized American Clifford Hodge (196-88, college: Hawaii Pacific) chipped in 23 points and 10 rebounds during the contest. The best for the losing side was naturalized American forward Sean Anthony (193-86) with a double-double by scoring 31 points, 16 rebounds and 4 assists and naturalized American point guard Stanley Pringle (184-87, college: Penn St., agency: Pensack Sports) scored 33 points (!!!) and 5 rebounds (went 7 for 7 at the free throw line). Five Meralco Bolts and four Global Port players scored in double figures. Both coaches allowed to play bench players in such tough game. Meralco Bolts moved-up to eighth place. Global Port lost fifth consecutive game. They dropped to the tenth position with five games lost. Meralco Bolts' supporters look forward to an exciting derby game next round, where their team will face at home their local rival from Manila Rain or Shine. The most surprising game was a loss of top-ranked Phoenix (8-2) in Quezon on Sunday night. Hosts were edged by seventh ranked Ginebra Kings (4-3) 100-97. It ended at the same time the three-game winning streak of Phoenix. Ginebra Kings looked well-organized offensively handing out 26 assists. Point guard Lewis Tenorio (177-84) scored 23 points, 8 rebounds and 5 assists to lead the charge for the winners and swingman Aljon Mariano (190-92) chipped in 20 points and 9 rebounds during the contest. The best for the losing side was naturalized American forward Calvin Abueva (190-88) with a double-double by scoring 15 points and 11 rebounds and forward Doug Kramer (193-83) scored 14 points and 8 rebounds (on 7-of-8 shooting from the field). Four Ginebra Kings and five Phoenix players scored in double figures. Both coaches used bench players in such tough game. Ginebra Kings moved-up to fifth place. Phoenix at the other side still keeps top position with two games lost. Ginebra Kings are looking forward to face Hotshots (#9) in Pasig City in the next round. Phoenix will play on the road against SM Beermen (#3) in Manila and it may be a tough game between close rivals. Bottom-ranked Hotshots managed to get a second victory. This time they won against sixth-ranked Alaska Aces in Makati 103-86. It's especially surprising that the victory came too easily and 17-point difference suggests that Hotshots is in a good shape to leave the bottom place. They made 24-of-31 charity shots (77.4 percent) during the game. Hotshots forced 21 Alaska Aces turnovers. Their players were unselfish on offense dishing 24 assists. Hotshots brought some defensive toughness making 7 blocks. 26 personal fouls committed by Alaska Aces helped opponents get some easy free throw opportunities. It was a good game for power forward Ian-Paul Sangalang (201-91) who led his team to a victory with a double-double by scoring 24 points, 14 rebounds and 6 assists. Guard Paul Lee (185-89) contributed with 20 points, 8 rebounds and 4 assists for the winners. Four Hotshots players scored in double figures. Point guard Christopher Banchero (186-90, college: Seattle Pacific) replied with 26 points, 5 rebounds and 4 assists and guard Jeron-Alvin Teng (190-94) added 17 points and 12 rebounds in the effort for Alaska Aces. Both coaches allowed to play bench players saving starting five for next games. Hotshots (2-4) moved-up to ninth place. Alaska Aces at the other side dropped to the seventh position with three games lost. Hotshots' next round opponent will be higher ranked Columbian Dyip (#6) in Makati City and it may be quite challenging game. Very expected game in Caloocan City where 11th ranked Blackwater Elite (2-7) was crushed by fourth ranked TNT Ka Tropa (5-3) 127-89 on Saturday. TNT Ka Tropa dominated down low during the game scoring 82 of its points in the paint compared to Blackwater Elite's 52. TNT Ka Tropa forced 20 Blackwater Elite turnovers and outrebounded them 54-40 including a 42-27 advantage in defensive rebounds. TNT Ka Tropa looked well-organized offensively handing out 39 assists comparing to just 19 passes made by Blackwater Elite's players. Great defensive blocking was one of the keys in this match when TNT Ka Tropa made 7 blocks. Roger-Ray Pogoy (189-92) scored 28 points, 6 rebounds and 4 assists (on 13-of-17 shooting from the field) to lead the charge for the winners and guard Jericho Cruz (182-90) chipped in 20 points and 9 assists during the contest. Four TNT Ka Tropa players scored in double figures. The best for the losing side was naturalized American guard Michael Digregorio (185-90, college: McKendree) with 20 points and forward Allein Malicsi (190-87) scored 13 points, 5 rebounds and 4 assists. The winner was already known earlier in the game, so both coaches allowed to play the bench players saving starting five for next games. TNT Ka Tropa have a solid three-game winning streak. They maintain fourth position with 5-3 record. Loser Blackwater Elite dropped to the bottom place with seven games lost. TNT Ka Tropa's supporters look forward to an exciting derby game next round, where their team will face at home their local rival from Makati Alaska Aces. Very predictable result in Pasig where fourth ranked SM Beermen (6-3) defeated 9th ranked Global Port (2-5) 113-107 on Sunday. Center June-Mar Fajardo (210-89) had a double-double by scoring 40 points (!!!) and 19 rebounds (on 14-of-15 shooting from the field) to lead the charge for the winners and point guard Terrence Romeo (180-92) chipped in 23 points and 6 rebounds during the contest. The best for the losing side was naturalized Tongan center Moala Tautuaa (200-89, college: Chadron St.) with a double-double by scoring 28 points and 13 rebounds (on 12-of-14 shooting from the field) and naturalized American forward Sean Anthony (193-86) scored 16 points, 8 rebounds and 6 assists. 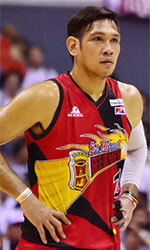 Four SM Beermen and five Global Port players scored in double figures. Global Port's coach Pido Jarencio rotated eleven players in this game, but that didn't help. SM Beermen have a solid four-game winning streak. They moved-up to third place. Global Port lost fifth consecutive game. They dropped to the tenth position with five games lost. SM Beermen will face league's leader Phoenix in Quezon in the next round and it will be for sure the game of the week. Not a big story in a game in Manila where 9th ranked NLEX RW (2-5) was defeated by fourth ranked SM Beermen (6-3) 121-111 on Friday. SM Beermen looked well-organized offensively handing out 23 assists. Center June-Mar Fajardo (210-89) had a double-double by scoring 27 points and 13 rebounds (on 10-of-13 shooting from the field) to lead the charge for the winners and forward Arwind Santos (193-81) chipped in 17 points, 6 rebounds, 5 assists and 4 steals during the contest. The best for the losing side was guard Juan Tiongson (178-91) with a double-double by scoring 16 points and 13 assists and JR Quinahan (198-84) produced a double-double by scoring 17 points and 10 rebounds. Both teams had five players each who scored in double figures. Both coaches allowed to play bench players saving starting five for next games. SM Beermen have a solid four-game winning streak. They moved-up to third place. Loser NLEX RW dropped to the tenth position with five games lost. SM Beermen will face league's leader Phoenix in Quezon in the next round and it will be for sure the game of the week. NLEX RW will play at home against Alaska Aces (#7) and hope to win that game. A very close game took place in Manila between Columbian Dyip and Rain or Shine. Seventh ranked Columbian Dyip (4-5) got a very close victory on the road over second-best Rain or Shine (7-3). Columbian Dyip managed to escape with a 3-point win 85-82 on Wednesday evening. Great defensive blocking was one of the keys in this match when Columbian Dyip made 7 blocks. The best player for the winners was American guard Rashawn McCarthy (185-89, college: Old Westbury) who scored 22 points and 5 rebounds. Guard Jaymar Perez (188-93) chipped in a double-double by scoring 11 points and 11 rebounds. At the other side the best for losing team was forward Mark Borboran (198-84) who recorded 21 points and James Yap (190-82) added 12 points, 7 rebounds and 4 assists respectively. Both coaches allowed to play bench players in such tough game. Columbian Dyip moved-up to sixth place. Loser Rain or Shine keeps the second position with three games lost. Columbian Dyip will meet Hotshots (#9) in the next round. Rain or Shine's supporters look forward to an exciting derby game next round, where their team will travel locally in Manila to the arena Meralco Bolts. Twelfth-ranked Hotshots (2-4) gave a tough game to first ranked Phoenix (8-2) in Pasig City. The visitors from Quezon managed to secure only two-point victory 89-87. However their fans expected much easier game. Phoenix made 25-of-31 charity shots (80.6 percent) during the game. They also forced 23 Hotshots turnovers. Their players were unselfish on offense dishing 21 assists. Hotshots were plagued by 30 personal fouls down the stretch. 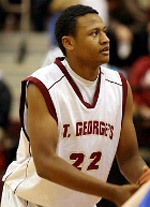 Naturalized American forward Calvin Abueva (190-88) notched a double-double by scoring 24 points, 13 rebounds and 5 assists to lead the effort and naturalized Canadian guard Matthew Wright (193-91, college: St.Bonaventure) supported him with 14 points, 5 rebounds and 6 assists. Even 11 points and 9 assists by point guard Jiovani Jalalon (175-92) did not help to save the game for Hotshots. Guard Paul Lee (185-89) added 16 points. Both teams had four players each who scored in double figures. Both coaches tested many bench players in such tough game. Phoenix have a solid three-game winning streak. They maintain first position with 8-2 record. Hotshots at the other side dropped to the ninth place with four games lost. Phoenix will play against SM Beermen (#3) in Manila in the next round, which may be the game of the day. Hotshots will play at home against Columbian Dyip (#6) and hope to get back on the winning track.